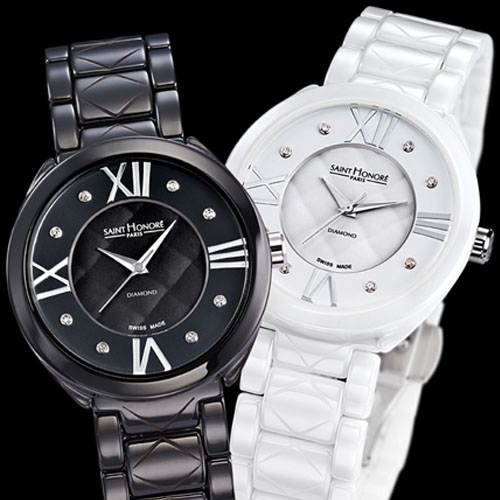 Saint Honoré has chosen to capitalise on the success of its Opera line to present its first ladies’ model ceramic. With a 36 millimetres case, reshaped specifically for the occasion, this watch is dedicated to women with an abiding taste for beautiful things and boldly blends refined design with the lustre of ceramic. 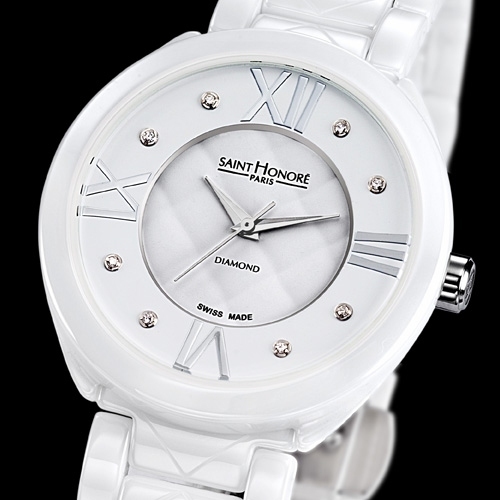 The particularly elegant dial is graced with watchmaking finery, starting with an exquisite, white or black, satin-finish central circle, revisiting the famous “checkerboard”, the Saint Honoré brand signature, in the spirit of haute couture. A ceramic bracelet, the central section of which is adorned with the “checkerboard” motif, coordinates perfectly with the dial’s décor and the sophisticated sheen of this watch.